A senior academic at the University of Southampton is leading a pioneering new classroom programme for 7-11 year olds to encourage school pupils to look after their feet. Exclusively piloted at Bitterne Park Junior School in Southampton, the Podiatry and School Science (PASS) project is now being developed across the UK. Dr Julia Potter, the University’s admission lead for podiatry, has developed the PASS project in collaboration with Paul Walker, curriculum manager and science lead at Bitterne Park Junior School. The project, commissioned by the Society of Chiropodists and Podiatrists, aims to raise awareness of foot health and podiatry through the science curriculum. As well as inspiring children to take an interest in the science behind their feet, the project also aims to generate a better understanding of where to go about foot health issues amongst parents and in turn keep people mobile for longer. 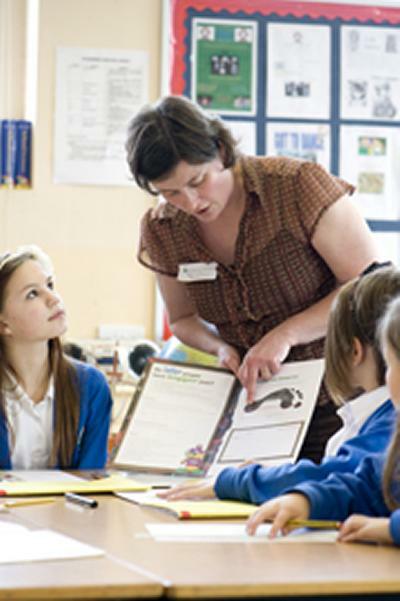 Following successful pilots with Year 4 Key Stage 2 children (8-9 year olds) at Bitterne Park, the lesson is now being delivered on a national level by the Universities of Brighton, Northampton and East London, reaching over 700 children. Year 4 lessons address the subject of whether taller people have bigger feet with children participating in activities such as ink printing and measuring their own feet. Year 5 lessons are now also being piloted at Bitterne Park Junior School, getting children to look at how exercise affects our bodies, and there are plans to develop the project further for Key Stage 3 pupils. To get involved with the programme, podiatrists and schools can register their interest with Alison Hart at ah@scpod.org.